Scrum Master success is not only about the team, but also about the Product Owner. When we want to help Scrum teams, we should check how the interaction with the Product Owner works, and how to help the team and Product Owner collaborate effectively. Helping Product Owners also means focusing on the business side of our work and defining together the critical business metrics for the PO and team. 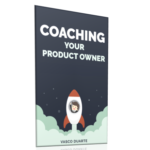 Are you having trouble helping the team working well with their Product Owner? We’ve put together a course to help you work on the collaboration team-product owner. You can find it at: bit.ly/coachyourpo. 18 modules, 8+ hours of modules with tools and techniques that you can use to help teams and PO’s collaborate. Sometimes retrospectives are simple moments in time where team members have important conversations with each other. Instead of waiting for a retrospective event, Scrum Masters should encourage those conversations every day. In this episode, we also talk about how to help distributed teams hold regular, even daily retrospectives. 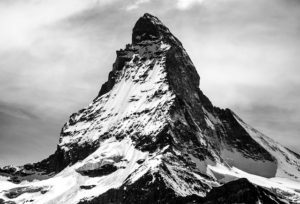 This is the second post on a series by Marcus Hammarberg about how metrics can help engage, motivate and ultimately push a team towards success! When we first started to work with the Bungsu hospital they were in a devasting situation. Fast forward 1,5 years and you would see a hospital that was making money every day. In the end, we turned the hospital from a situation where only the director and her closest staff cared, to a situation where 100 people in the hospital were actively engaged in everyday improvements. How is this possible? What kind of magic was applied? Keeping engagment when the bad news hit – Becoming a team! When we first started to work with the Bungsu hospital they were in a devasting situation. Their finances were at an all-time low after years of decline in patient visits. Their operational permit had not been renewed and they were operating on probation, the staff was disengaged and blasé … oh, and one more thing: the roof of the entire second floor had collapsed. Still, to my great surprise, not many people were upset, engaged or even cared about the survival of the hospital. Fast forward 1,5 years and you would see a hospital that was making money every day, had not only an operational permit but also got awards for their services, happy and engaged staff … oh yes, and they had a newly renovated roof. We didn’t hire or fire a single person during this time – and all the work to save The Bungsu was done by the people in the hospital, I merely acted as a guide for new ways of working. We soon realized that the scary state of the hospital’s finances was not only our number one priority but it was also too vague for the staff when expressed in numbers. Billions of rupiah in deficit didn’t mean a thing for the staff. First of all, those numbers were unrelatable for the average employee, even if we broke it down per day. Saying “we need 18.000.000 rupias per day” to someone that earns 1.000.000 per month doesn’t spark engagement. We need 18.000.000 rupias per day! Secondly, and perhaps most important, the staff in the hospital was not interested in budgets, forecasts or financial plans. They worked with patients! We needed something more concrete and closer to their day-to-day reality. Armed with those two realizations we started to track “the number of patients we served per day”. We hoped this concrete metric would engage the staff. The numbers of presented were truly awful; our financial target was 134 services sold per day and we were averaging on 60-70. Half of what we needed to be able to improve the financial situation! our financial target was 134 services sold per day and we were averaging on 60-70. Half of what we needed to survive! Below this line we lose money by having the hospital open and we may need to close it! That got their attention. The jaws of the 70 people in the room dropped to the floor at once. We now had our one metric that matters and most importantly: everyone understood it. In the next blog post, you will see how this metric, visualized and understandable not only helped us focus on what is important but also made us into a team. Do you need the one metric that matters to engage your team? This booklet is for you! In the Bungsu’s Pirate Code for Visualization downloadable booklet I will go into details on how we made this “one metric that matters” engaging, kept it relevant and ultimately saved the hospital by keeping our focus there – using what we referred to as the Bungsu Pirate Code. Click here to download your guide to using the “one metric that matters” in your own team. This is a very actionable tool that you can you use today in your organisation to make your visualizations matter to everyone all the time. 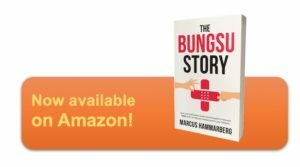 The Bungsu Story is a fascinating account of a real-life crisis, and how Agile, Lean and Kanban saved the Hospital from bankruptcy! Twice! Get ready for the journey, it’s going to be a bumpy ride! 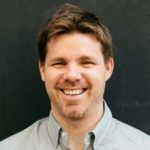 Marcus is the author of Salvation: The Bungsu Story (available on Amazon), an inspiring and actionable story about how simple tools can help transform the productivity and impact of an organization. The real-life stories in The Bungsu can help you transform the productivity of your team. 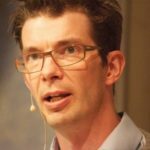 Marcus is also an renowned author and consultant in the Kanban community, he authored the book Kanban in Action with Joakim Sundén. 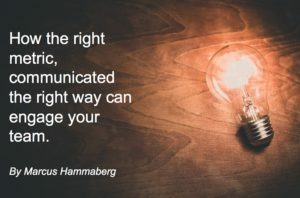 You can link with Marcus Hammarberg on LinkedIn, and connect with Marcus Hammarberg on twitter. Slicing work for Value, the lost art of #Agile that can transform your team’s productivity and predictability. Agile is about adapting to change. Change is a reality, we can’t avoid it. How we react to change is what will make or break our product development efforts. For us to be Agile and adaptable, however, we must be able to change direction quickly. Adjust the deliverables after we collect market/customer feedback. Many teams I’ve worked with were doing exactly the opposite! Teams often get stuck in the “this story can’t be broken down any further” anti-pattern. They push themselves to deliver enormous User Stories, and therefore end up having to do a lot of upfront planning and estimation (both are needed when the work items are very large). If teams were able to slice work down to very small increments – say, one day or less – then they would not need to spend so much time planning and estimating. They might even be able to adapt during a Sprint, instead of waiting for the end of the Sprint. Continue reading Slicing work for Value, the lost art of #Agile that can transform your team’s productivity and predictability. 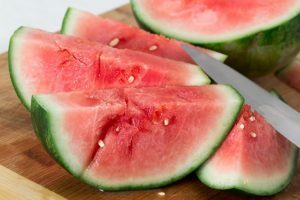 Posted on March 26, 2019 April 9, 2019 Author vascoCategories BlogTags #PDevTOOLBOX, agile, fast delivery, product owner, Slicing, Technical1 Comment on Slicing work for Value, the lost art of #Agile that can transform your team’s productivity and predictability. 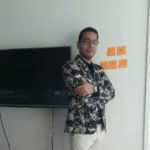 When I started developing software as a team member, and later as a project manager, I started to face some of the challenges that you are probably familiar with. The first and most important challenge for me was the need to meet a strict deadline. We ended up calling it the Christmas problem. 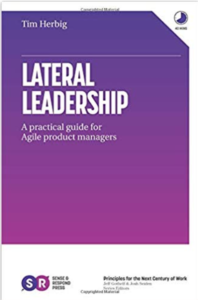 When Agile broken into the scene, it was mostly about the techniques to develop releases of the product quickly. However, that was a time when products were released only a few times a year at best. Today products evolve continuously and that changes how product Owners and Product Managers need to interact with the teams. In this episode, we explore some of the key lessons Jeff has learned working with product organizations all over the world. In short: Product Managers also need to adapt to Agile, it’s not just the teams! Read on for the detailed show notes and all the links.